The Best Management Consulting blogs from thousands of top Management Consulting blogs in our index using search and social metrics. Data will be refreshed once a week. 2.53 McKinsey Management Consulting Blog On Effective Test Prep. Management Consulting newsletter is a comprehensive summary of the day's most important blog posts and news articles from the best Management Consulting websites on the web, and delivered to your email inbox each morning. To subscribe, simply provide us with your email address. San Diego, Ca About Blog Peter Barron Stark Companies is a nationally recognized management consulting firm that has surveyed and trained a quarter of a million managers and employees around the world over the past 20 years. Our mission is to help build organizations where employees love coming to work and customers love to do business. Facebook fans 339. Twitter followers 801. Silicon Valley About Blog Steve Tobak is a management consultant, featured columnist, and former high-tech senior executive. As managing partner of Silicon Valley-based Invisor Consulting, he advises business leaders on strategic matters. Facebook fans 4,093. Twitter followers 11,961. Seattle, WA About Blog Claris Consulting is a Seattle management consulting company specializing in developing leaders, teams and individuals. We help our clients achieve extraordinary business results by developing authentic leaders, productive teams and committed employees. Facebook fans 4. Twitter followers 157. Mt. Tamalpais About Blog Blog by Dan Markovitz. Founder of Markovitz Consulting helping organizations become faster, stronger, and more agile through the application of lean principles to knowledge work. Our mission is to improve the well-being of individuals, organizations, and the planet through the application of Lean business management practices. Facebook fans n/a. Twitter followers 2,891. About Blog Covering Management Consulting IT Consulting and Advisory work done by consultants. The magazine features the latest information on consulting careers, thought leadership, and corporate strategies. Facebook fans 5,112. Twitter followers 6,002. Montreal, Quebec About Blog Melissa Agnes, Crisis Management Strategist & Keynote Speaker, helps organizations implement a crisisready culture by turning today's real-time challenges into a winning crisis management strategy. Facebook fans 12,954. Twitter followers 10,163. Canada About Blog SME Strategy is a management consulting firm that specializes in helping organizations with their strategic planning process. We work with teams to facilitate conversations about strategic direction and business strategy so that our clients can focus their energy on what will move them forward faster. Facebook fans 570. Twitter followers 320. London About Blog The Management Centre (=mc) is a consultancy and training agency working worldwide with ethically-driven organisations. Our vision is to be the first choice of ethically-driven organisations worldwide for management consultancy, fundraising consultancy and learning and development. Facebook fans 203. Twitter followers 3,392. US About Blog McKinsey & Company is a global management consulting firm that serves leading businesses, governments, non governmental organizations, and not-for-profits. We help our clients make lasting improvements to their performance and realize their most important goals. Find latest thinking on the issues that matter most in business and management. Facebook fans 302,449. Twitter followers 333,159. Mountain View, CA About Blog Comprehensive up-to-date coverage for management consulting, aggregated from news sources all over the world by Google News. Facebook fans 22,957,066. Twitter followers 213,093. Ottawa About Blog A multi-discipline management consulting firm providing executive coaching, project and interim/virtual management services that accelerate business growth. About Blog Management Consulted is the leading resource on all things consulting, with a focus on resumes, interviews, case interviews, and finding management consulting jobs! We’ve written many consulting articles on topics ranging from travel to salaries, from resume mistakes to summer internships, from exit opportunities to case interview preparation. Facebook fans 3,589. Twitter followers 811. Boston, MA About Blog Blog by Johanna Rothman expert in Managing Product Development. I help you identify your problems and seize the opportunities you know exist–but can’t find yet. I provide assessments, workshops and training, coaching, speaking, and facilitation as part of my packaged services. This blog will help you understand a little about what I can provide. Facebook fans n/a. Twitter followers 10,071. New York, NY About Blog Kraft Kennedy is a multidisciplinary consulting firm with expertise in technology and management consulting, technology strategies, application specialties, technology infrastructure, managed services and proactive support. Combining this knowledge, our focused teams are dedicated to meeting the needs of our clients. Cape Town About Blog Consultation on Project Management tools and best practices for business owners & service professionals. Providing comprehensive Project Management Resources information to the aspiring and existing project managers, as well as practical advice on project management processes, templates and tools based on best practices. Facebook fans 146. Twitter followers 4,659. Phoenix and Denver About Blog MSS is the #1 ranked management consulting firm in the Southwest. We offer a holistic approach that is the foundation for 28 years of success. We assist companies to improve business processes. Follow our blog to learn more about management consulting for businesses of all sizes. Orlando, FL About Blog Steve Puckett: Visionary consultant, influential leader, dominant player in the electronic medical record (EMR), EHR & healthcare management technology sector. United States About Blog Expert healthcare management consulting for health care providers, insurers, and government agencies. Facebook fans 373. Twitter followers 36,863. Minneapolis/St. Paul, MN About Blog Exceed your leadership potential today with Rick Conlow, the global management consultant, coach and trainer. You can achieve your goals, Rick will help. Facebook fans 11,010. Twitter followers 3,169. About Blog We provide training and consulting services to organizations in Government, Military, and Private Sectors looking for measurable improvements in IT and Project Management operations. Gain insight into organizational Project Management capabilities & develop a strategic plan for improvement. Facebook fans 188. Twitter followers 719. About Blog ITCE has more than 17 years of experience in the fields of IT and management consulting, trainings and certification. ITCE provides businesses with complete solutions in the field of Cloud Solutions, IT Service Management, Business Analysis, Project Management, Infrastructure Management, Security Solutions and Enterprise Architecture. Atlanta, GA About Blog PMAlliance is a project management consulting, project management training and project office development company. Our goal is to give you a competitive advantage through improved project planning and control techniques. Get great project management tips on consulting, training, and PMO development. Facebook fans 3,967. Twitter followers 1,249. About Blog Hayes Management Consulting helps healthcare organizations succeed by streamlining operations, improving revenue and enhancing technology. Mission is to enable healthcare organizations to manage mission-critical operational challenges. The Hayes' blog covers a range of strategic, clinical and financial issues affecting healthcare organizations. Facebook fans 97. Twitter followers 848. About Blog RSM US Technology and Management Consulting offers a full range of technology services - cloud, infrastructure, business intelligence and ERP & CRM solutions. We understand how people, processes and technology interact to ensure organizational effectiveness. Facebook fans 232. Twitter followers 972. Atlanta, GA About Blog Intellinet is a management consulting and technology services firm providing strategic, technology-enabled business solutions. Mission is to transform the businesses of our clients by providing strategic, technology-enabled business solutions. Facebook fans 315. Twitter followers 418. Chicago, IL About Blog Actuation Consulting, is the world's leading product management consulting and training organization. We provide product management products and services. View our latest market research and insights. Learn best practices from our global product management consultants. Facebook fans 48. Twitter followers 44. Lambertville, New Jersey About Blog Education Management Consulting, LLC and Dr. Edward F. Dragan provide expert services for schools, attorneys and individuals for school and education-related issues. Education expert witness testimony, report and consultation for attorneys, schools and agencies in US and Canada. Facebook fans 1,587. Twitter followers 554. Canada About Blog Here you’ll find respected management consultants and executive search advisors that provide independent, highly objective advice that delivers inspiring results for clients. Rosemont, IL About Blog The Northridge Group is a management consulting, quality monitoring, and customer experience firm whose consulting professionals have worked in your industry for years Learn how to listen to a customer's voice through four basic ways and see how a variety of channels can offer customer insight. Facebook fans 624. Twitter followers 2,349. The Netherlands About Blog Epicflow is a web-based project management tool that perfectly distributes workloads. Built on a dynamic scientific algorithm and 20 years of experience, this online software adjusts to the needs of PM experts, automatically prioritizing tasks and resources in real time. Epicflow combines Agile development principles with projections of future capacity. Facebook fans 82. Twitter followers 246. Offices in MA,VT & OH. About Blog Carlson Management Consulting is an award-winning Cloud financial solutions and services firm, serving a growing list of customers nationwide and internationally. We deliver ‘best in class’ Cloud solutions for Corporate Performance Management (CPM), Financial Controls & Automation, Enterprise Resource Planning as well as value-added consulting services toorganizations of all sizes and industries. Facebook fans 181. Twitter followers 152. Washington, D.C. About Blog Lohfeld Consulting Group specializes in helping companies create winning proposals. We are the premier Capture and Proposal Services consulting firm focused exclusively on government markets. We help clients develop and execute tightly focused capture strategies designed to raise win probability. Vancouver, BC About Blog Bellrock is a Vancouver Managing Consulting Firm. We consult with business leaders on strategy, vision, financial management, and more. Bellrock's business management blog contains articles on a wide variety of management and leadership topics. Facebook fans 202. Twitter followers 261. London, England About Blog Zircon is a business psychology company specialising in talent consulting, assessment and resourcing associates to business and consultancies. The reason we are in business is to provide superior expertise, quality and choice using Assessment, development, training and performance management solutions that help our clients achieve results through people. Facebook fans 123. Twitter followers 1,175. Knoxville, TN About Blog Ken provides keynotes, consulting services, training and products designed to improve business and revenue performance. Sales leadership and sales management guidance from sales management thought leader Ken Thoreson of Acumen Management Group. About Blog At Falak Consulting we don't see ourselves as regular management consultants, but as innovators and problem solvers who are obsessed with finding a better way. We have a higher purpose; to build stronger economies and happier societies by unlocking business and human potential. Facebook fans n/a. Twitter followers 15,142. Indonesia, Asia About Blog LiveBean is a leading Hotel Management and Consulting Company with a footprint in Asia and Middle East offers hospitality consultancy services for hotel feasibility study and best hospitality management services to tourism industry for revenue generation. Facebook fans 580. Twitter followers 441. Overland Park, KS About Blog MAMTC is a not-for-profit corporation supported by a public and private partnership of Kansas companies. We provide manufacturing management consulting services to the statewide Kansas manufacturing community, including: Lean Manufacturing Sustainability Continuous Improvement Workforce Development Technology Acceleration Innovation Engineering. Facebook fans 70. Twitter followers 141. Milwaukee, WI About Blog Vernal Management Consultants (VMC) supports organizations and their leaders in fulfilling their goals for growth and success. We bring the latest thinking in our field to our clients by reading and hearing from the leading researchers and thinkers in leadership development, organizational development and executive coaching for success. Facebook fans 42. Twitter followers 98. Pennsylvania, USA About Blog SchellingPoint provides management consulting solutions to consultants and business leaders to design and conduct on-benefit, on-time, on-cost initiatives. SchellingPoint’s mission is to enable organizations to accelerate their progress by rapidly designing and implementing highly successful initiatives. Facebook fans 17. Twitter followers 71. Toronto, Canada About Blog Change Connect is a boutique advisory and consulting firm specializing in small mid-sized business' strategy and growth. ChangeConnect is an innovative change group committed to supporting, connecting and collaborating on organisational change. Seattle, Washington About Blog The Thirsty Dog Blog is your source for stories about business and the world of consulting in Seattle. Written by Jason Price, it provides insight into the inner workings of professional services and management consulting firms. Here are my stories collected from over 20 years in the Management Consulting industry. I hope you find them educational and humorous at the same time! Facebook fans 70. Twitter followers 1,624. Dublin, Ireland About Blog Confessions of a Consultant is written by Dr. Paul Mooney, Senior Partner with Tandem Consulting, an Irish management consulting practice. Get Insights from the world of management consulting. Pune, India About Blog GDA Management Consulting Pvt. Ltd. is a premier Pune-based consulting firm that offers a suite of financial and management consultancy services. Our mission is to provide practical & economical solutions for sustainable operations and business growth. About Blog We help organizations organize their knowledge assets so that they know what they know—where to find it, who knows it, how to use and share it, and how to make and support decisions with it. Facebook fans 167. Twitter followers 1,115. About Blog ur mission is to provide the most comprehensive medical management and nurse consulting services. We strive to work in tandem with our clients in a collaborative effort. Our people become a critical, embedded asset of our client’s team. The MKC approach produces a cohesive work product while maintaining a clear understanding of the client’s goals. Facebook fans 92. Twitter followers 2,776. Birmingham, Alabama About Blog Cypress Resources is a management consulting firm based in Birmingham, Ala. We offer a depth of management consulting expertise and a nimble approach to meet clients on their own terms. Our goal? To help leaders clearly articulate their vision, architect a plan for success and provide on-demand, ground-level expertise to do more of what needs done, faster. Facebook fans 66. Twitter followers 171. P0ulton-le-fylde About Blog Ethical Management Consulting has been leading and working in partnership with specialists and experienced consultants in the field. EMC integrates Action Learning and project management for maximum effect. 53. McKinsey Management Consulting Blog On Effective Test Prep. About Blog Management consulting case prep to effectively prepare for McKinsey PST and case interviews with exclusive self-study guides. We help candidates going through Management Consulting recruiting process. Facebook fans 12,727. Twitter followers n/a. Toronto, Ontario About Blog Creative Change Management Consulting is a management consulting firm led by Jeff Melanson and Matt Holland. We integrate the lens of the creative communities with the discipline and rigour of the business community to help organizations drive growth and transformation. Facebook fans 784. Twitter followers 2,163. About Blog We provide strategic planning and management consulting for Accountants and Dentists, thereby greatly expanding their practices and quality of life. 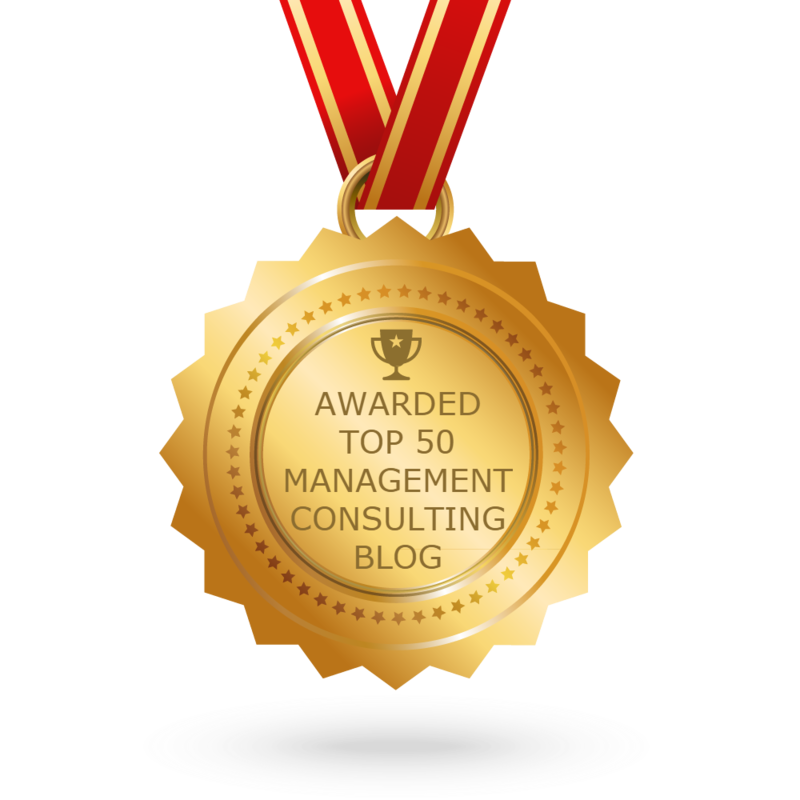 CONGRATULATIONS to every blogger that has made this Top Management Consulting Blogs list! This is the most comprehensive list of best Management Consulting blogs on the internet and I’m honoured to have you as part of this! I personally give you a high-five and want to thank you for your contribution to this world.